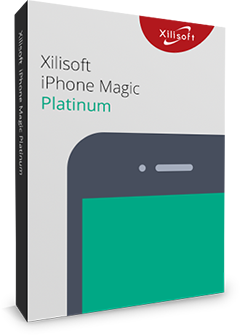 Especially designed for Mac users, Xilisoft DVD to MP4 Converter for Mac provides the best way to convert Home DVD to MP4 format for iPod, iPhone, iPad, Galaxy, Archos, iRiver PMP, Creative Zen, and Apple TV. You can also extract audio from Home DVD movie and convert Home DVD to MP3, AAC or M4A format with this Mac Home DVD to MP4 converter. The Home DVD to MP4 Mac converter offers several optimized output formats for each device to best match your need and ease your choice. 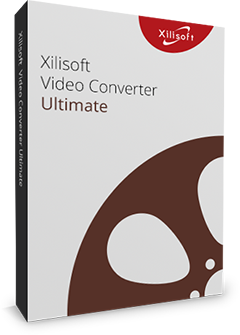 Free download Xilisoft DVD to MP4 Converter for Mac to have a wonderful experience on Mac Home DVD converting now. Convert Home DVD to MP3, AAC, M4A, etc. Transfer contents between iPhone and Mac/iTunes. Manage iPhone easily. Convert DVD, CD, videos, audios to iPhone. The Mac DVD to MP4 converter can convert DVD to MP4 and AVI formats for multiple MP4 players, to DivX, XviD movie, and to general MP4/AVI videos. You can also extract music from DVD with the Mac DVD to MP4 converter and save as general MP3, M4A or AAC format. Set multiple profiles with different codecs or parameters for the same video to meet various requirements. With abundant device based output formats supported, you can choose optimized MP4, AVI format right for PSP, PS3, video iPod, iPhone, Archos, iRiver PMP, Creative Zen, and Apple TV. The Mac DVD to MP4 converter provides general and advanced settings for you to customize output file, e.g. you can select output audio track, subtitle in general setting and set split method and bit rate in advanced settings. Using clip function, this DVD to MP4 Mac converter helps you get wanted segments from a video and output them respectively or as a whole one. Want to get a file with the needed size? With the smart Bitrate Calculator, just need to enter the size you want. Just choose the format for your device and start converting , your DVD will be converted to the target you want with high speed. Provides you with a built-in resizable player to preview DVD movie and snap your favorite screens. Provide English, French, German, Spanish, Chinese and Japanese interface languages for you to choose in the DVD to MP4 Mac software.